An NHK description of upcoming appearance with the Pokemon Company president hints at a new Pokemon game featuring the electric mouse. Pikachu is one of the most iconic Pokemon in the franchise. The electric mouse has changed a bit over the years ever since its introduction in Pokemon Red and Blue, and it became the featured starter Pokemon in Pokemon Yellow. Pokemon Company President Tsunekazu Ishihara will appear on NHK Professional: Shigoto no Ryuugi on Oct. 28. NHK's description of Ishihara mentions the development of a new Pikachu-related game. "This summer, Ishihara started development on a never before seen game," NHK states. "It's a new game featuring the very popular character Pikachu in a bold way. There is concern, however, that if it's bad the long loved character would lose popularity in the blink of an eye." Pikachu has already been the star of a few games, including Hey You, Pikachu! on the N64. It used the N64's voice recognition unit to allow the player to talk to Pikachu. If another Pikachu game uses voice recognition software, it could be on the 3DS or even on smartphones. Other Pokemon games have also featured the popular electric-type Pokemon without hurting its image. PokePark Wii: Pikachu's Adventure stars Pikachu as the Pokemon set out on adventure. The sequel PokePark 2: Wonders Beyond also stars Pikachu. 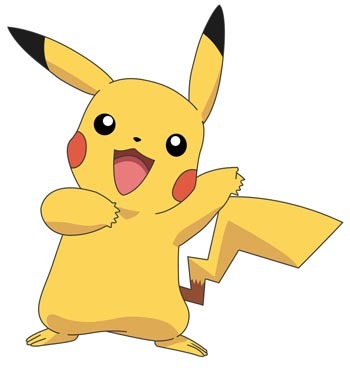 Even though Pikachu's popularity likely originally stemmed from its appearance in the animated Pokemon series, the little guy has stayed a strong favorite even in future generations of Pokemon games, so Ishihara likely has little to fear about ruining Pikachu's reputation.